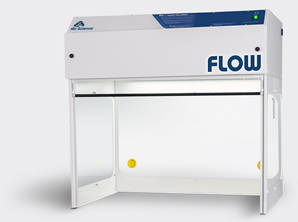 Whether horizontal or vertical, laminar flow cabinets provide unidirectional airflow that sweeps particulates out of the enclosure. Both types are designed to prevent stagnant air or dead zones that cause particle buildup as well as turbulent, violent, or erratic airflow that creates swirls or unpredictable particulate movement across the work surface and leads to possible contamination. Horizontal laminar flow hoods more often have filters located on the back wall. Unidirectional filtered air is then passed horizontally from the rear, straight across the work surface. 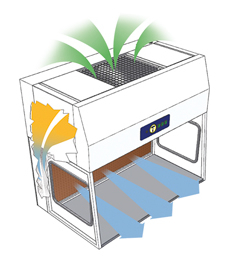 Vertical laminar flow hoods typically have a top or ceiling mounted filter. 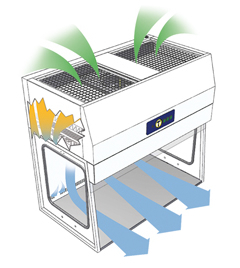 Air exiting the filter media passes unidirectionally from the unit ceiling and then across the work surface, sweeping particles out of the enclosure as it goes. Learn more about Horizontal vs Vertical Laminar Flow Clean Benches and how to choose which option is right for you. Both horizontal and vertical laminar flow hoods provide unidirectional airflow that protects products on the work surface against particles and particulates. The choice for your specific needs can come down to personal preferences but there are a few benefits unique to each model. If you do not use large or bulky equipment on the work surface and want to ensure the lowest level of turbulence, horizontal flow might be best for you. Risks of contamination from operators may be reduced in horizontal laminar flow hoods because hands are located downstream of the airflow. That means anything you might introduce when working within the hood is immediately pushed out of the enclosure. Because vertical laminar flow has an additional break as it travels down from the top mounted filter before hitting the work surface, it produces less turbulence when coming into contact with large equipment. Any applications that produce fumes or vapors, such as soldering fumes, or those that have fine powders should opt for vertical laminar flow. Unique or custom applications may also be better suited to vertical laminar flow. 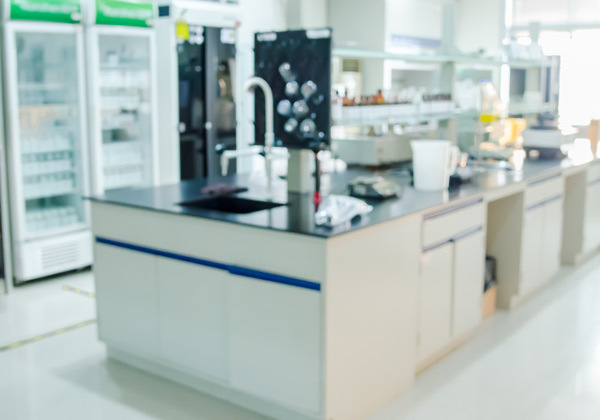 The filter position often allows for larger, taller fume hoods. When designed with a clear back panel in addition to clear side panels, vertical laminar flow hoods provide 360° visibility and allow more ambient light onto the work surface. Contact us to learn which laminar flow cabinet is best for your application, discuss custom solutions, and request a quote.